Children are frequently drawn to brightly colored and small objects, but these are things that when swallowed can result in serious harm to them. 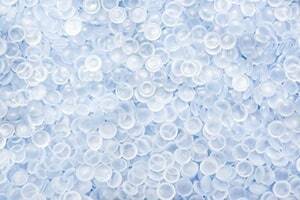 Recently, Super Absorbent Polymer (SAP) Beads have come under scrutiny. If your child was harmed as a result of one of these toys, or a similar product, the experienced child injury attorneys at Moll Law Group can evaluate whether you may have a product liability case. An Super Absorbent Polymer Beads lawyer may be critical in asserting your right to compensation. Recently, Consumer Reports tested Orbeez toys and Water Balz by Dunecraft. These are little, brightly colored beads that are made of polymer and quickly grow into larger sizes when they are placed in water. In 2012, an eight-month-old baby swallowed a Water Balz, and if she had not received medical care, her intestines would have been perforated by the expanding polymer and become infected and septic. The baby came to the hospital about 15 hours after swallowing the bead, suffering from stomach issues. At first, X-rays did not show that she had the bead inside her, but within a few days, her belly got swollen, and she showed symptoms that were consistent with having a blockage. The doctors had to remove the blockage from the lowest part of her small intestine. The bead had expanded to over an inch, which was more than the typical diameter of the small intestine. She could have died from swallowing the bead, according to a professor of pediatrics at Baylor College of Medicine. The professor also commented that the same materials are used in gardening and pottery because they absorb and expand well. They expand so well that birds have been known to die after eating them. Water Balz have been recalled. The Orbeez Beads expanded to full size are smaller than the Water Balz, but Consumer Reports believes that they are still a safety hazard for little kids. Children are likely to be attracted to the colorful balls. There are safety warnings on the packaging that indicate that it is a choking hazard and not for kids who are under three years old, or not suitable for kids under age five. Orbeez has claimed that its tests show that the toy is safe for kids who are at least five, and even if they are swallowed, the toy should pass through the intestinal tract. However, the CPSC has stated that the company has not addressed the choking hazard caused by the possibility that the toy could block a child’s airway. The use of this type of polymer technology is becoming prevalent not only in toys, gardening equipment, and pottery but also in other household products and decorations. In Italy and Malaysia, these balls are banned. The company that makes Water Balz recalled almost 95,000 products in the United States, including Water Balz as well as Fabulous Flowers toys, H20 Orbs Despicable Me, and Growing Skulls. A Super Absorbent Polymer Beads attorney may be able to help a family bring a claim if their child has been injured. Product liability lawsuits require proof of a manufacturing defect, design defect, or failure to warn. A failure to warn is a type of marketing defect. In some cases, there are warnings, but they are inadequate given the risk. In most jurisdictions, you can pursue damages for an actionable defect under a theory of strict liability, negligence, or breach of warranty. Usually, strict liability is the most straightforward cause of action for plaintiffs because it requires the plaintiff to show that there was a defect, that the defect caused injuries, and that damages resulted. Unlike in a negligence claim, in a strict liability claim, there is no need to show that the manufacturer breached a particular duty of care and that this breach caused the injuries. If your child was injured due to Super Absorbent Polymer (SAP) Beads or another polymer technology that expands in water, the product liability attorneys at Moll Law Group can evaluate whether you have a basis to bring a lawsuit. We pursue claims for victims all over the country, including in Illinois, Michigan, Ohio, Pennsylvania, Texas, New York, Florida, and California. Billions of dollars have been recovered in cases in which we were involved. Call us at 312-462-1700 or contact us online for a free appointment with a Super Absorbent Polymer Beads lawyer.